StartAWritingBusiness was formed to offer a unique reference point on how to start up and run a writing business. It's often said that there's a novel inside everyone - but most people never get it out. Even if you succeed in writing what you want to, getting it published can be fraught with difficulties. What a relief, then, that Start A Writing Business is here to help. Start A Writing Business is designed to bring together everything you need to know about writing, business, and the writing industry, all in one convenient location. All our articles are written by experts with established writing careers, so the advice they provide has been proven to work. And unlike other writing sites on the web, Start A Writing Business won't cost you a penny. It's here to help you make money, not to take it away. Every kind of writing is covered here, from fiction to journalism, scriptwriting to copy writing. We can help you to develop your research skills, improve your literary techniques and promote your work - plus we provide that all important information on agents, publishers, and getting paid. If you're serious about making a career out of writing, there's no better place to begin. If you've already sold a few stories, this is the place to look when you're ready to expand your horizons and start chasing the serious money. Don't forget to let us know what you think about Start A Writing Business, so that we can improve our service to you. 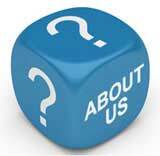 Remember that you can Ask Our Experts any time you need help. And whatever you're working on writing, good luck! StartAWritingBusiness was founded by John Rowlinson, the founder of PtS. John, through PtS, is involved in a number of ventures including software and property companies. A percentage of revenue from these activities goes towards funding StartAWritingBusiness and a number of similar sites.